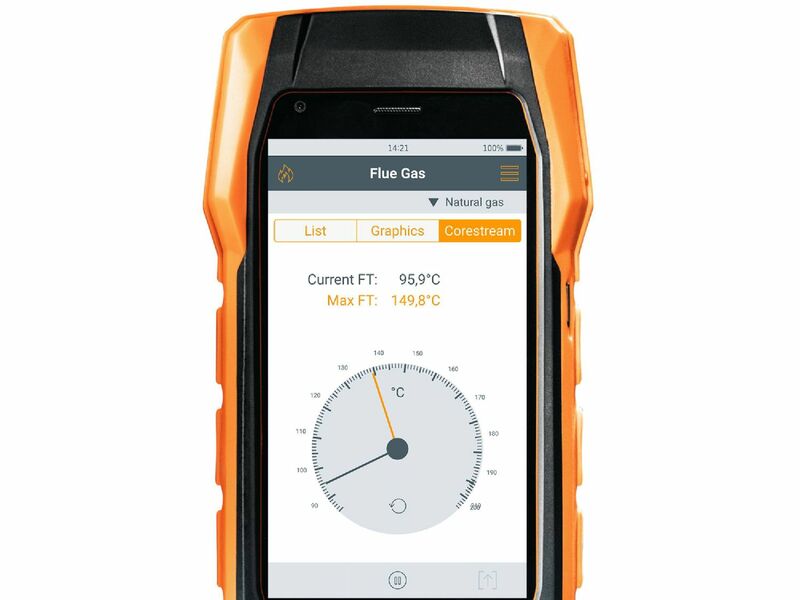 Up to 5 years’ manufacturer’s warranty. 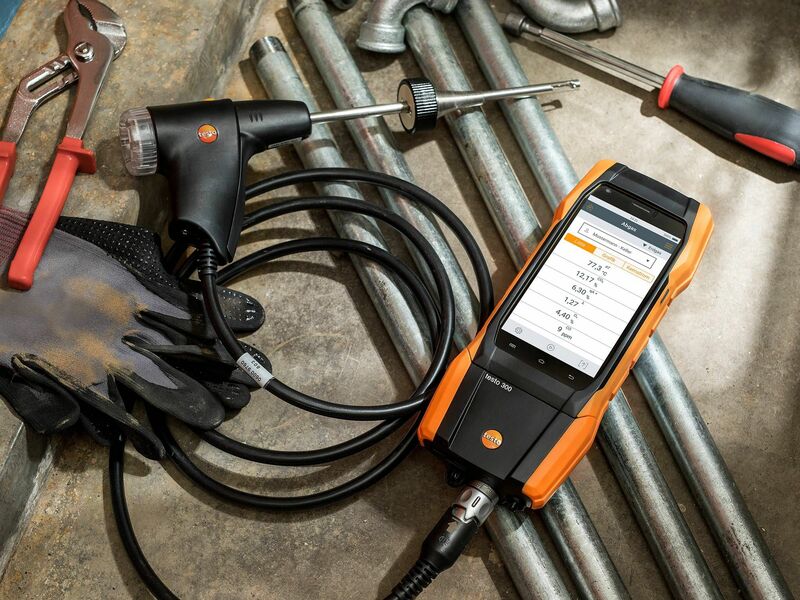 Smart measuring technology is of little benefit if it does not keep going in tough day-to-day working conditions. 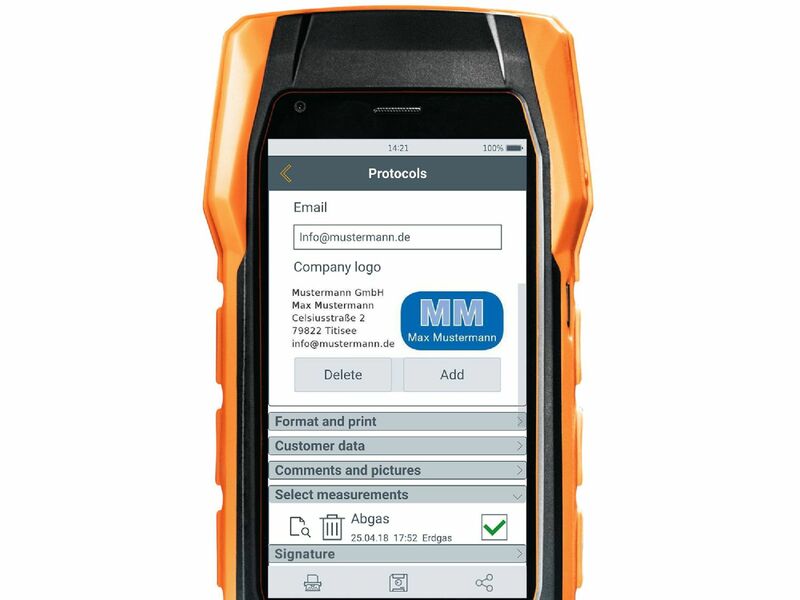 Because your measuring instrument is a partner that supports you every day in the efficient, problem-free performance of your tasks. 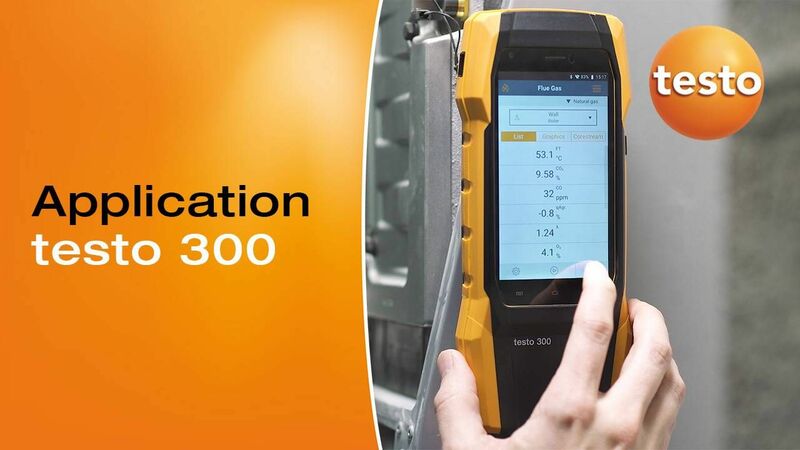 That is why the testo 300 is particularly resilient and can easily meet the special challenges across workshops, transport vehicles and boiler rooms. 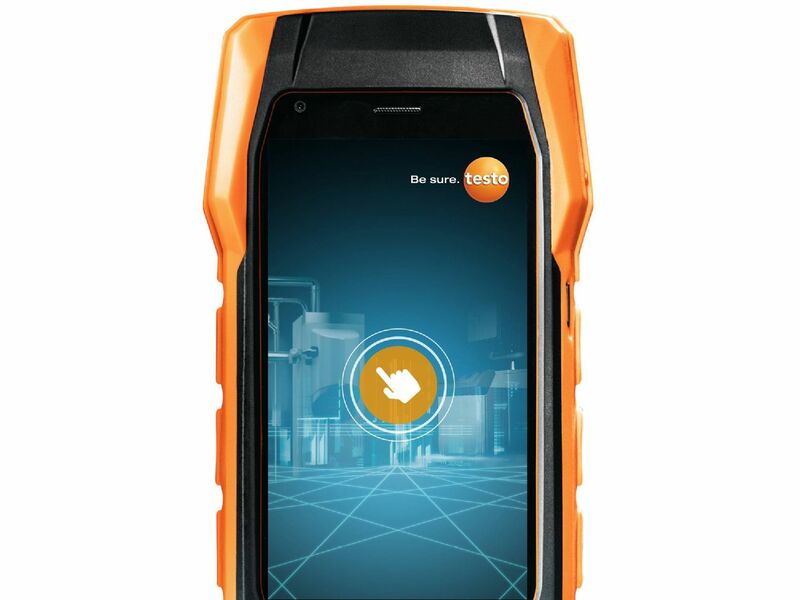 Scratch-resistant, recessed and with a special, replaceable protective film. For that extra degree of stability when it really matters. 4 strong magnets with rubber coating – particularly material friendly. 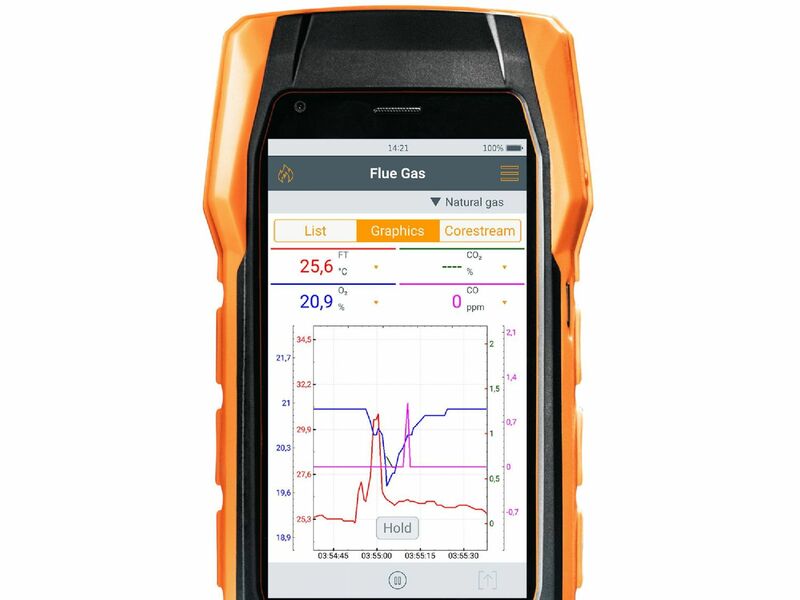 Optional: extremely durable O2 sensor, automatic dilution up to 30,000 ppm CO.
Flue gas measurement truly smart. 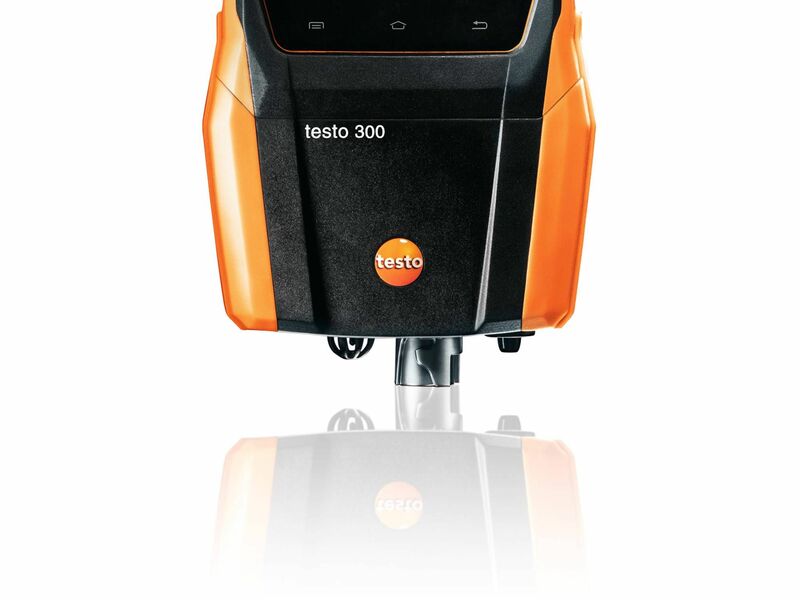 All information on the truly smart multitalent testo 300. 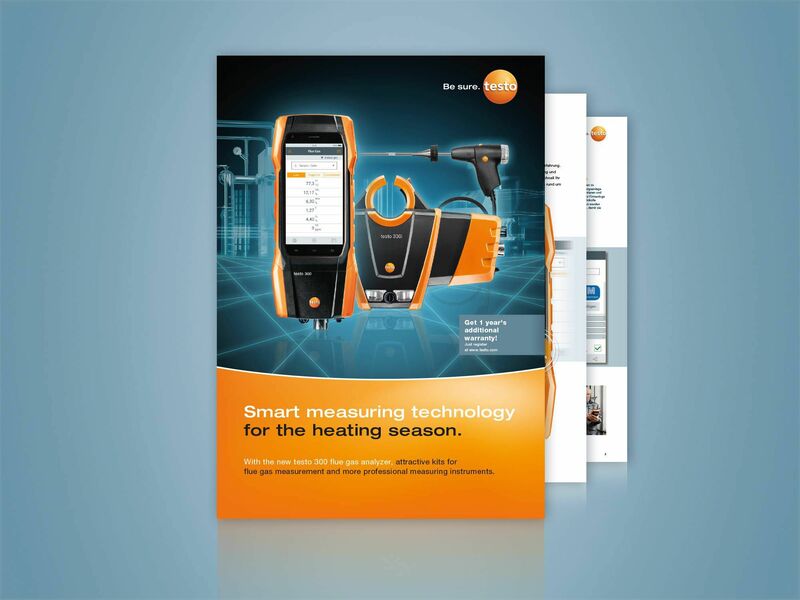 Measuring instruments and accessories for all jobs involving heating systems. 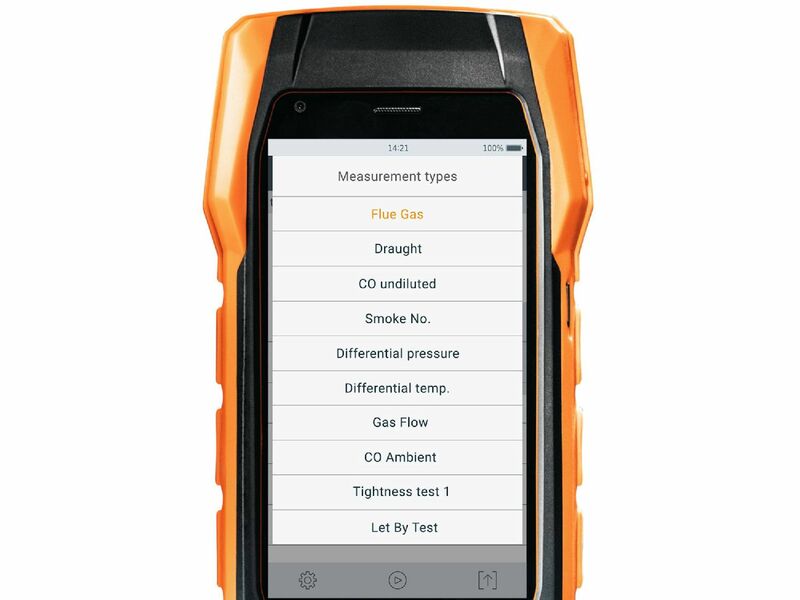 All the relevant parameters in the customizable display. All the readings in a graphic progression more. Graphic support with core flow searches. 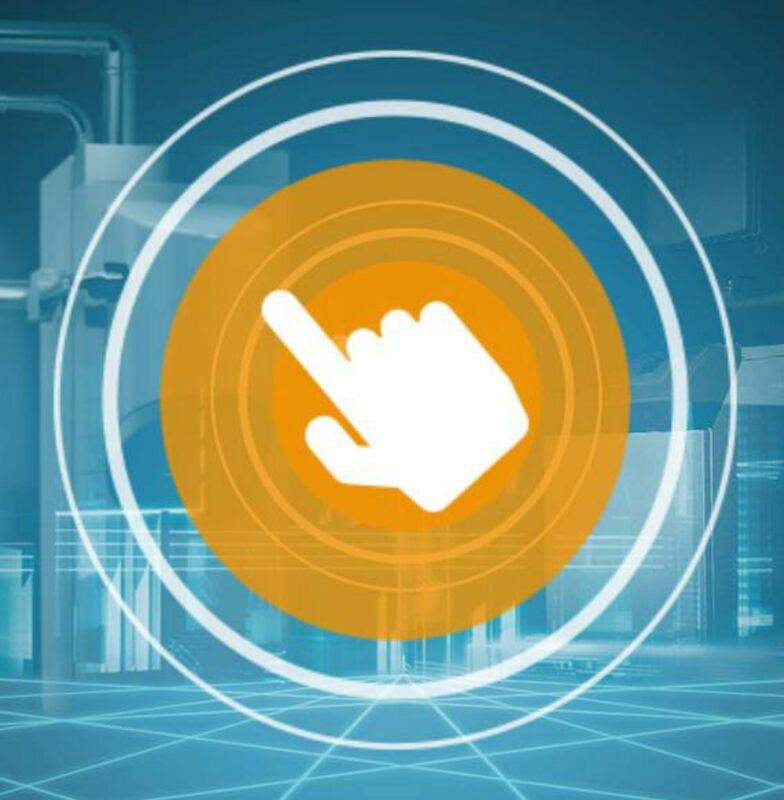 Stored menus for all applications involving heating systems. 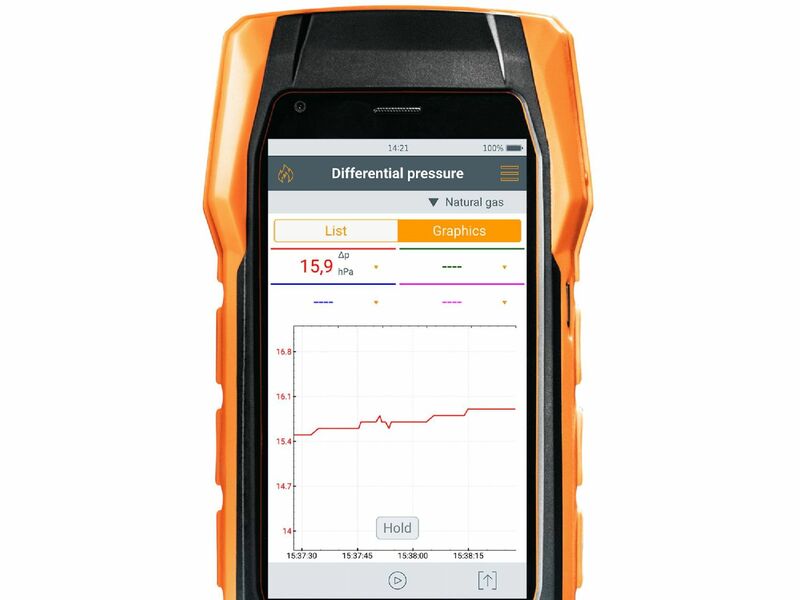 Differential pressure measurement over a longer period of time has graphic support. 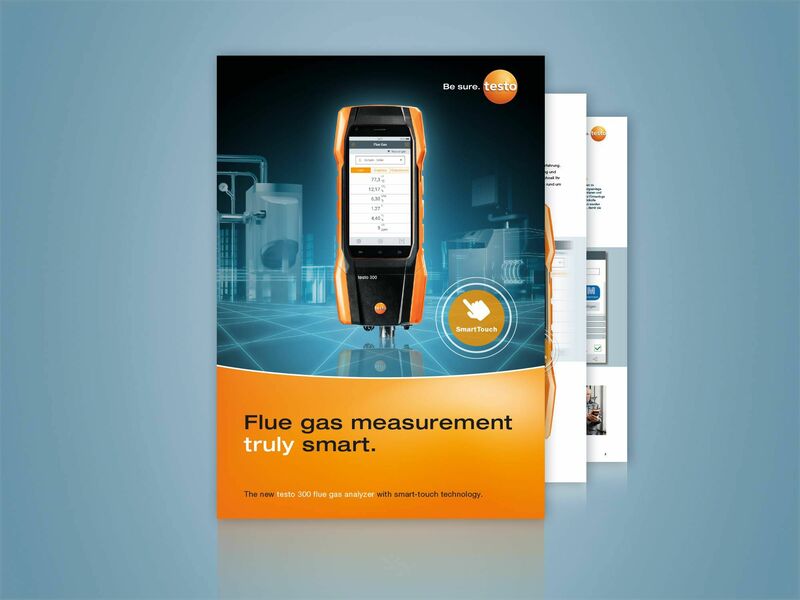 Create measurement reports, add comments to them and send them directly on site. 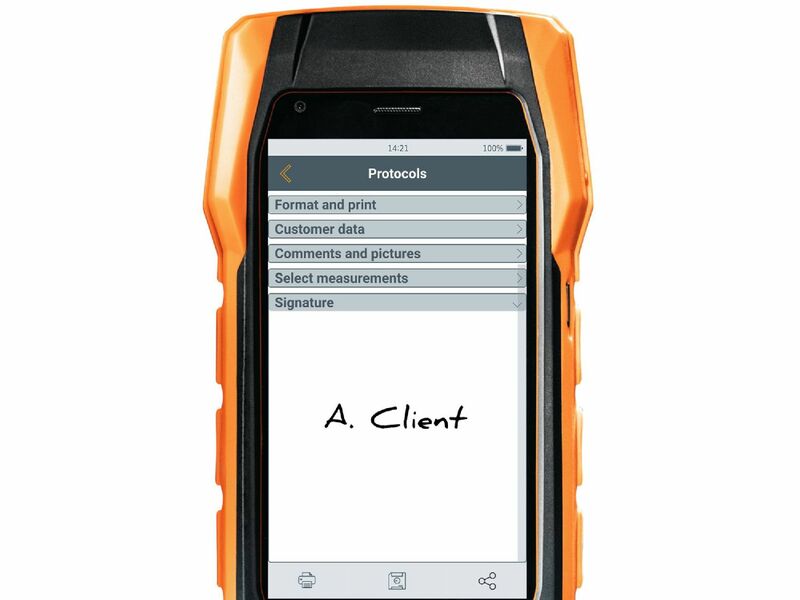 Your customer can sign the protocol within the instrument.